Research recently conducted by Cebr on behalf of law firm Irwin Mitchell has revealed that Norwich, Cambridge and Ipswich are predicted to be amongst the top 10 fastest growing UK cities in 2017. These findings suggest that the value of goods and services produced in Norwich, Cambridge and Ipswich will grow significantly in 2017 despite factors such as rising inflation, the challenges presented by Brexit and a falling rate of investment in business. As encouraging as these projections are, we should keep in mind that growth will be at a much slower rate than in the third quarter of 2016. Expansion rates will most likely be significantly lower than they were in the three months immediately after the EU referendum vote. Vicky Brackett, CEO of Business Legal Services at Irwin Mitchell commented on the latest UK Powerhouse report: “I’m pleased to say that many cities experienced robust growth in the three months following the referendum result but we expect the continually unfolding political events to have widespread effects upon the UK and its cities over the next 12 months. 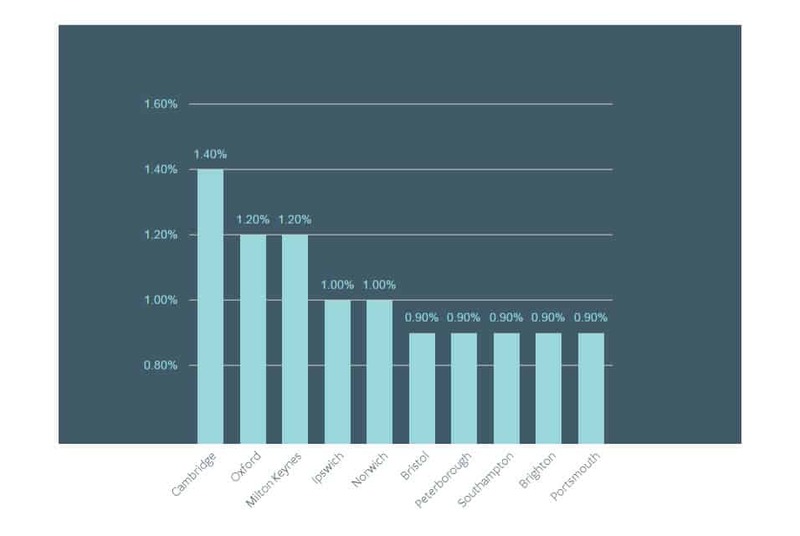 The report has confirmed what we as Aston Shaw have been suggesting for a while now in previous blog posts, that Norwich, Cambridge and Ipswich are great locations to start-up and grow a business in. Norwich, Cambridge and Ipswich are the driving forces that are pushing East Anglia into the forefront of UK business and commerce. Each of these cities has something to offer the aspiring entrepreneur or business person and so there is no better time to start being a part of this growing economy.